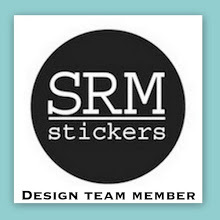 Cardstock: Stampin’ Up! 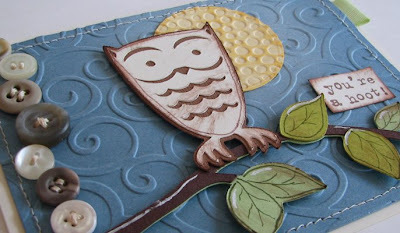 Buckaroo Blue, Very Vanilla, Certainly Celery, Chocolate Chip, Barely Banana, Kiwi Kiss….the brown textured cardstock on the owl is Bazzill. 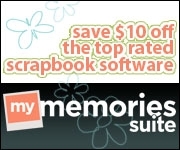 Misc: Provo Craft Cricut with ZooBalloo and Storybook cartridges, Provo Craft Cuttlebug with embossing folders, Buttons, sewing machine and thread, Stampin’ Up! Certainly Celery twill ribbon, Uni-ball Signo white gel pen, and buttons that I inherited from my grandmother’s stash. I hope that your weekend is going great!! 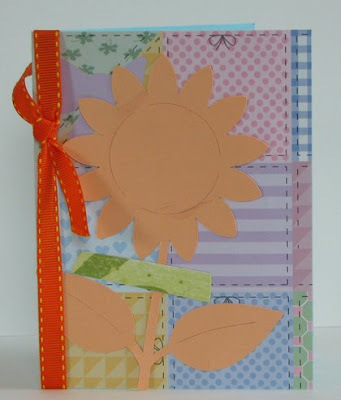 This is gorgeous Amy - I love the embossing and how you interpreted the sketch. You work is always awesome! To all the kids that participated - A BIG thank you to you too. Your Daughter's card is gorgeous Amy - If you had not told me she was 8 I would have thought that an experienced adult made it - she is very talented for sure. 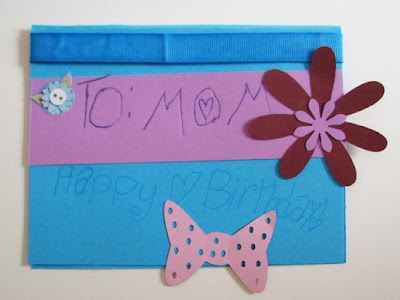 Thanks to Tangie for making such a cute card for your mom - red flowers and pink bows are my favorite on a card. Kaiden that is the coolest X-Men card ever. 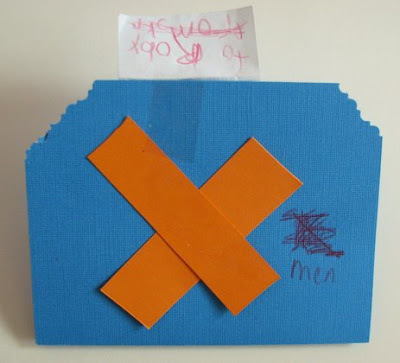 I love how you made the X out of bright paper and wrote the word men - very clever. What fun! I love to make stuff with my kids! 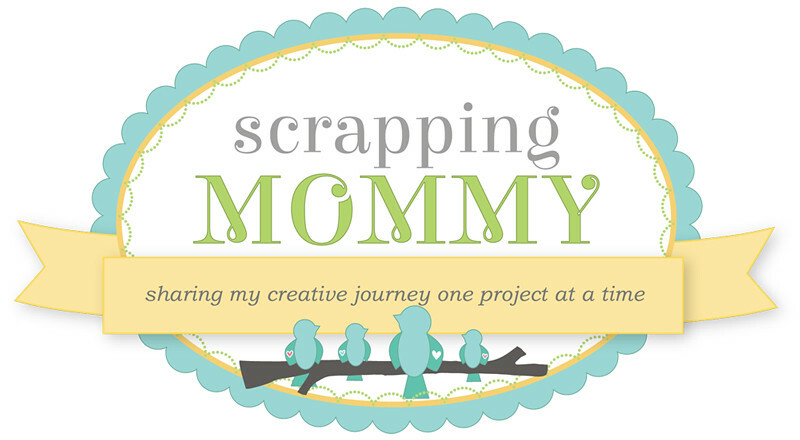 Even the little ones want to try scrapbooking and cardmaking. They did an excellent job! 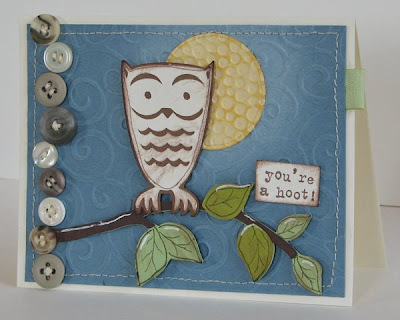 I love your owl card, super cute! Wonderful funky card Amy, and the children did a great job too. These are just the cutest cards, everyone of them! Don't think you've checked my blog for a few days........email me! !